Question: have you ever had the opportunity to observe a really dark sky? In the vicinity of any decent-sized population center -- and that doesn't mean only big cities -- man-made lighting washes out much of the wondrousness of the night sky. The night sky experienced way out in the country is a whole 'nother experience. Years ago, a large expanse encompassing parts of Virginia, West Virginia, and Maryland was set aside as the National Radio Quiet Zone. 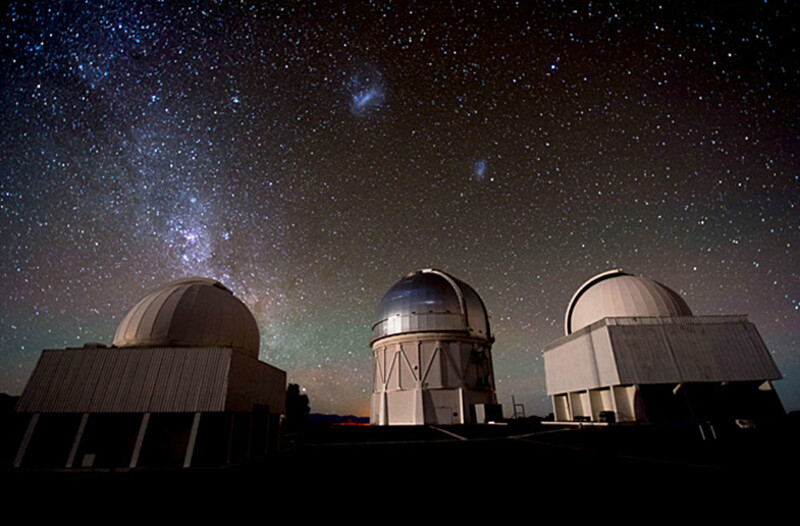 Now "Chilean astronomical site becomes world’s first international dark sky sanctuary." An emerging form of astronomy uses neutrinos. Those are electrically neutral, elementary subatomic particles that interact so weakly with other matter that if you shoot a stream of them at a light-year-thick wall of lead, half of them will pass through! Neutrinos, of course, were recently in the news, as "Neutrino scientists win Nobel Prize for Physics." Fusion in the heart of the Sun is understood to produce an outpouring of neutrinos -- only when physicists looked for them, they found only 1/3 the quantity they expected. Solving that puzzle involved the discovery that neutrinos spontaneously change among their three types, and that property, in turn, required that neutrinos -- contrary to theory -- have nonzero (though very small) mass. Neat stuff! That very brief discussion doesn't begin to do the topic anywhere near full justice. For more about neutrinos (and the scientists who unlocked some of their secrets), I recommend Neutrino Hunters: The Thrilling Chase for a Ghostly Particle to Unlock the Secrets of the Universe, by Ray Jayawardhana. It's a fascinating and -- given the esoteric nature of the topic -- easy read. What could be more star-oriented than the Museum of Science Fiction? Not much! So: I'll wrap up for today with a link to the 3Q15 report on progress getting the museum established. It can't hurt to have a new NASA grant.